After a series of failed efforts to secure his second term ticket on the platform of All Progressives Congress (APC), Governor Akinwunmi Ambode, not only ate the humble pie by conceding defeat to the newly anointed godson, Babajide Sanwo-Olu, but he now carries the burden of working under the shadow of impeachment. In the events preceding the defeat, Lagos residents and indeed Nigerians witnessed intense political activities that put APC on the dock of public opinion. But while conceding defeat was a welcome development for both Ambode and his detractors, the ensuing peace has been like that of graveyard. 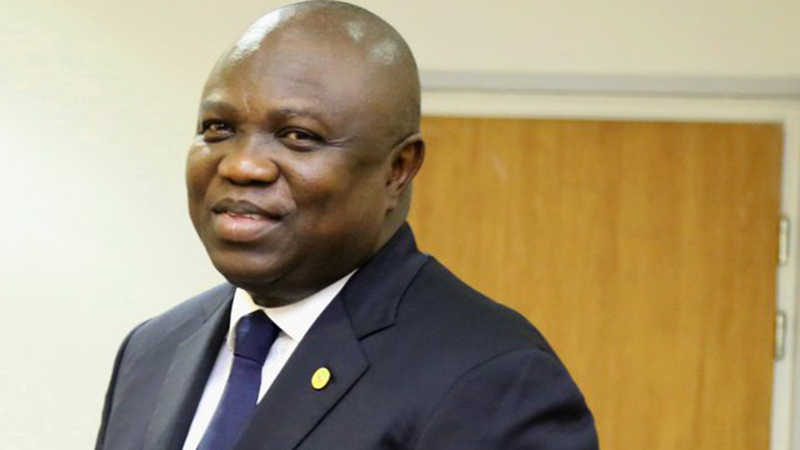 By throwing in the towel, Ambode may have quelled all forms of agitations, speculations and political dramas in Lagos, but the trouble in APC, both in the state and across the country continues. Worse of all, although both supporters and sympathisers of the governor and party members that earlier attacked themselves embraced each other, the governor has continued to walk in the shadows of suspicion and possible threat of impeachment. Ambode has since also pledged to ensure smooth transition in the remaining period of his administration. But the perceived silence broken on Monday when the speaker of the state assembly, Hon. Mudashiru Obasa, stated that the governor might be impeached if his actions so indicate, adding that the lawmakers could not be intimidated by anybody. “The governor’s actions would determine whether he would be impeached or not,” he said. The Speaker, who was reacting to what he described as rumour and an insinuation from some quarters, was however quick to add that the public would be notified if such action would take place. The perceived rumour of impeachment first came to light from the factional chairman of the state chapter of the party, Mr. Fuad Oki, who warned the House of Assembly to drop such plans, warning that it would incur the wrath of Lagosians. 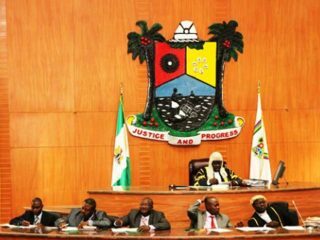 Also, a Lagos-based civil rights movement, Save Lagos Group (SLG), also warned the assembly to desist from such threat, warning the assembly against being used by those it called selfish individuals to impeach the governor. 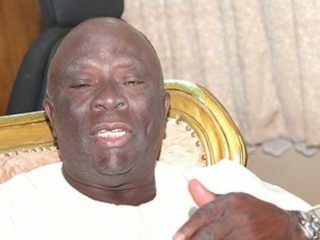 Obasa corroborated the impeachment claim when he stated that both Oki and SLG’s allegations that the impeachment plot was instigated because the governor refused to open up the state’s treasury to party members was false. 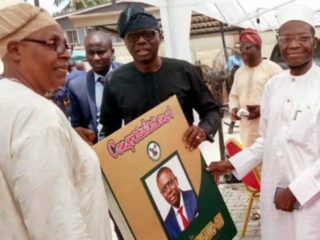 It would also be recalled that a day to the primary election in the state, 36 of the 40 lawmakers in the state’s assembly had signed a note of endorsement for Sanwo-Olu, meaning that Ambode was not a friend of the House. Last week, the assembly repudiated Visionscape, a sanitation solution provider allegedly owned by the governor. Without recourse to extant legal implications, the assembly ordered the 20 local governments and 37 Local Council Development Areas (LCDAs) in the state to call the Private Sector Partnership (PSP) operators in their areas back to work for refuse clearing immediately. The order effectively displaced Visionscape, a company brought in by Ambode to clean refuse in the state. The state legislature ordered the local service providers back to work, including areas where they had been barred by the state environmental laws passed by the assembly. The assembly also ordered the Clerk of the House, Mr. Azeez Sanni to write a letter of invitation to the Commissioner for Environment, Mr. Babatunde Durosinmi-Etti to appear before the House next week for questionings, adding that the Commissioner for Finance, Mr. Akinyemi Ashade, would refund money paid to Visionscape after the assembly asked him to stop paying the sanitation body. The lawmakers took turn to condemn the activities of Visionscape in the state, saying that it was not capable of handling sanitations in the state. The probe would likely spread to other contractual issues with the assembly expected to pronounce the governor guilty of misappropriation of state’s funds, which is an impeachable offence. The party’s grouse is that after promising to help fund the election of his successor-to-be, Mr. Babajide Sanwo-Olu, Ambode made a reversal and dismissed such deal at a recent conversation with one of the contractors through whom the funding would have been made possible. The conversation with the said contractor was leaked to APC leadership and other stakeholders, who then immediately related it to other suspicions they had about the governor and concluded that he was only pretending. However, at the first executive meeting after the primaries preached forgiveness and unity, promising that he would not be vindictive of those who denied him his second term bid. 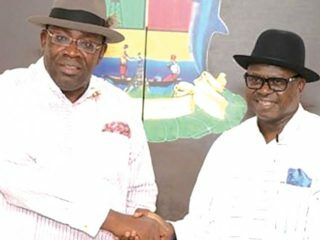 Nevertheless, the governor is still perceived as a threat to the gubernatorial election in 2019 as many of party faithful believe that he was still unhappy with the dishonor he faced during the primaries. Most party members are no longer comfortable with Ambode’s demeanor, believing the governor might be unkind to the party during the coming elections. Therefore, their best bet would be to get rid of him as fast as possible in order not loose out in the coming election. However, Oki, in an interview with newsmen in Lagos, gave the warning against the background of a directive issued by the state assembly to the effect that PSP, which did effective refuse disposal in the state, should return to work since Visionscape, a foreign company hired for the job, was not known to the law of Lagos State. According to him, “Ordinarily, I don’t comment or discuss issues that arise from the social media but again to every rumour, there is an iota of truth. So, I want to comment based on what I perceive or assume to be the iota of truth therein and I want to dare Lagos State House of Assembly to try it. Let them try it. You see, people who refused to learn from history shall be consumed by history. Oki, whose faction is in court following the party’s last congress, said the state lawmakers appeared to have lost a sense of history, recalling that a similar thing occurred between 2009 and 2010 but that it led nowhere. “In 2009 and 2010, a similar thing was tried. Where did it end?” he queried. Today, the governor and his government may not be as popular as we all love to see, but let them try it. But the governor is not oblivious of the forces stacked against him in the state, as he told Journalists on Tuesday after he accompanied President Buhari to perform the official commissioning of the new Economic Community of West African States (ECOWAS) Border Post at Seme-Krake joint border post in Badagry that he would lead a strong campaign to ensure victory for President Buhari and Sanwo-Olu in the 2019 general elections.